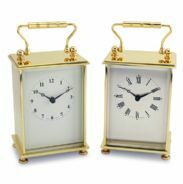 SKC12 Passing Strike Oval Skeleton Clock Gold Plated. Click on the clock for more details. SKC12/S Passing Strike Oval Skeleton Clock Chrome Plated. Click on the clock for more details. SKC13 Arch Top Skeleton Clock. Click on the clock for more details. SKC14 Art Deco Skeleton Clock. Click on the clock for more details. SKC15 Art Deco Skeleton Clock. Click on the clock for more details. SKC16 Skeleton Mantel Clock. Click on the clock for more details. 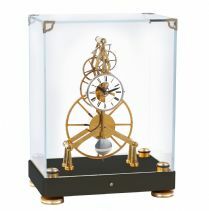 SKC17 Mini Round Skeleton Clock with Gold Plated Movement. Click on the clock for more details. SKC17/S Mini Round Skeleton Clock with Chrome Plated Movement. Click on the clock for more details.